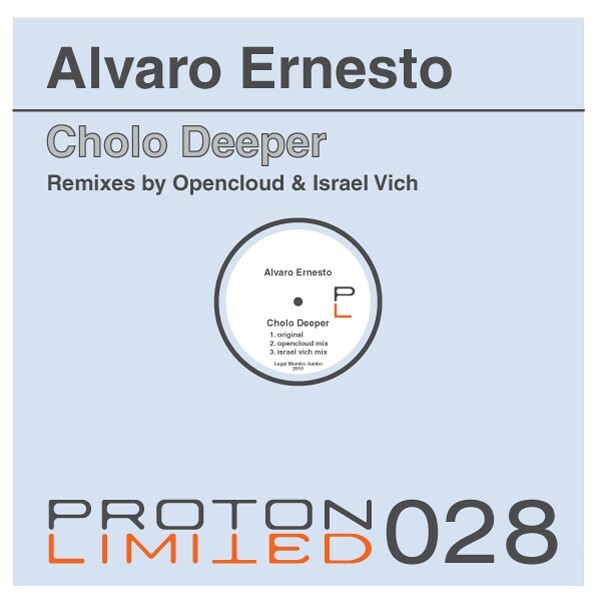 Alvaro Ernesto goes deep with his Cholo Deeper release on Proton Limited. Layered with subtle vocal snips, groovy beats, and loopy hypnotic pad will definitely please a dance floors ear. On remix duties, first up is Opencloud, and they dirty up the original with their sound and bring it to a big bass builder world. Nice and large. Next remixer, Israel Vich, takes it to a more tech housey feel and offers a more percussive vibe. Enjoy.